Numerous components go into creating a successful meeting but one of the most important is location. Many planners think that just by choosing an all-inclusive resort in Mexico, the meeting will be a hit. After all, who doesn’t like bragging about heading to Cancun for “work”? But fun in the sun doesn’t always make for a stress free experience. If you are in charge of a meeting; you have food quality to consider, local business mentality to access and ease of getting there to evaluate. People are often surprised by some of the unique, undiscovered gems just a short drive from their office. Following are 3 brag worthy properties, all close to major cities and guaranteed to make your attendees smile. The luxury accommodations of Winvian are worlds unto themselves. Just a short drive from Boston you will find eighteen unique resort cottages designed by fifteen different architects, each with a story to tell, each a surprise, an escape, a splendid adventure. 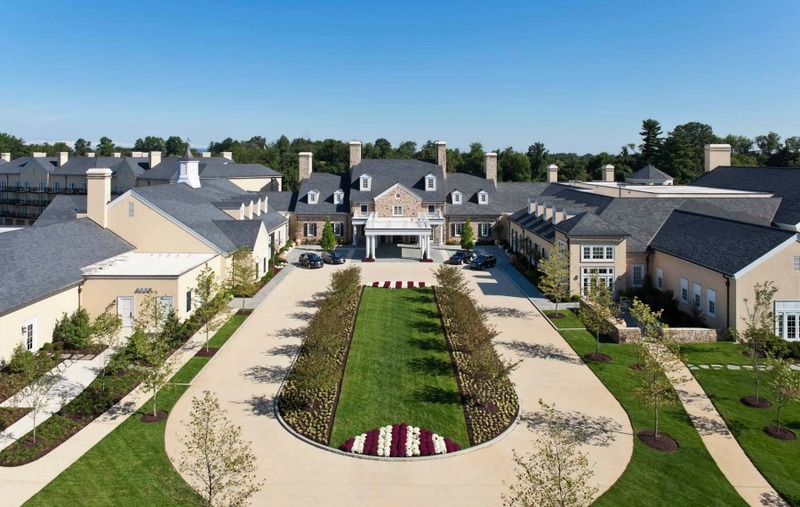 The Salamander Resort & Spa in Middleburg VA set on 340 acres in the foothills of the Blue Ridge Mountains amid Virginia’s famed horse country and lush vineyards, is just 35 minutes from Washington Dulles International Airport. With 168 guest rooms and an equine team building activity, this resort is a great option for companies in central VA.
Four hours from NYC and you are at The Sagamore on the tranquil banks of Lake George. Breathe in the fresh mountain air on a scenic hike. Enjoy fishing right from the dock or tee off on the Donald Ross-designed 18-hole golf course. From swimming and tennis to sumptuous spa treatments and a host of winter activities, this resort invites you to discover the allure of the Adirondacks at your own pace. Best of all, these properties all have a green focus and are sustainably minded. A win win for you and the planet! This entry was posted in Uncategorized and tagged Boston, Events, Lake George, location, Meetings, NYC, Sagamore, Salamandar Resort, sustainability, Virginia, Winvian by A&M Travel. Bookmark the permalink.